Brunei Darussalam, Thailand, Cambodia, Malaysia, Indonesia. 48″ x 12″ x 12″ (120cm x 30cm x 30cm) – 115 litres. This species requires a lot of open swimming space, along with some suitably-sized hiding places. Lengths of thick plastic piping, driftwood pieces and areas of dense planting should be adequate for this. Some degree of current and decent oxygenation is also preferred. 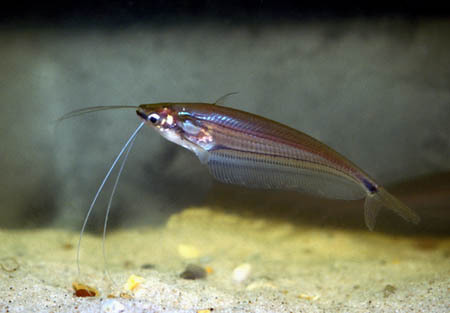 Filtration should be powerful and efficient, as this fish is sensitive to deteriorating water conditions. Regular water changes must be strictly observed for the same reason. Relatively unfussy and will take most live, frozen and dried foods. Offer larger specimens earthworms, pieces of prawn and mussel and dried pellets. Fairly peaceful and shy for its size, although it will eat any smaller fish it can fit in its mouth. It has a mouth full of razor sharp teeth to reinforce this point. 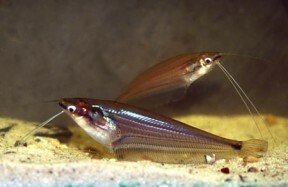 Good tankmates include medium to large sized cyprinids, characins, similarly-sized Asian or South American catfish and larger cichlids, although care must be taken not to house with any particularly aggressive species. Males have a serrated edge to the pectoral spine, which females lack. Mature females are thicker-bodied than males. 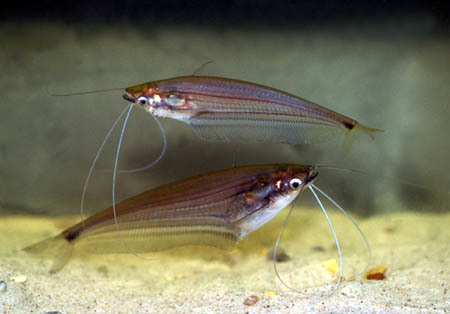 Not yet achieved in aquaria. 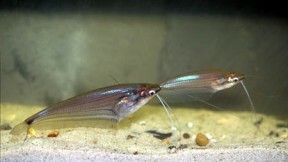 Not often encountered in the hobby, but makes an ideal schooling catfish for a community of medium to large peaceful fish.